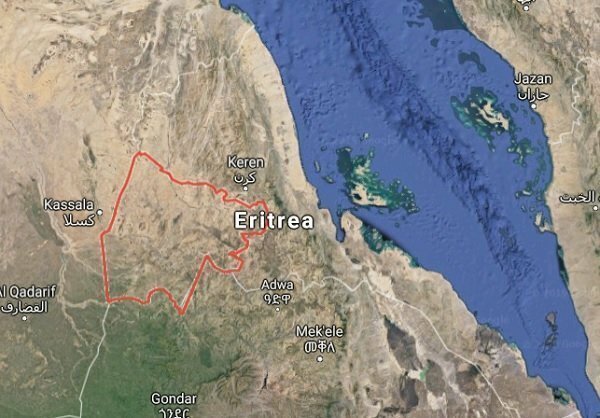 One Response to "Eritrea accuses Turkey of “acts of subversion,” sabotaging Ethiopia-Eritrea peace deal"
Eritrea and Turky were at one time chummy, chumy …….What it means, in practical reality, is that the Dictators of both countries were in the mode of ‘scratch my back; I scratch yours’. They work for themselves; NEVER for the people >>> simple and the ultimate cruelty. The ordinary people of both countries are not important; and it applies to overwhelming majority of Members of the civilized UN Organization. Background Reality = The people of both countries, for all practical purpose, are subservient to their respective Dictators. Never mind that Turkey have election gimmick; while in Eritrea there has never been even the semblance of election. d)	But DE complains because it disturbs his carefully crafted scheme with Ethiopia, not for the benefit of the people who fought for thirty-years and sacrificed their precious LIFE to be FREE. To a Dictator, such a sacrifice is NOTHING, as people are taken for granted to be used for the egotistical ambition and pleasure of Dictators. e)	The History of mankind asserts the above fact. It is a FACT that can never be disputed. That is why individual mortals survive as absolute Dictators at the expense of the overwhelming majority innocent ‘sheep’ of the Good Lord of Heaven. If you find my input to be frivolous and space consuming, in rational sincerity I wouldn’t feel bad. On the contrary, I would ask for your forgiveness and continue to enjoy your website. Thank You.